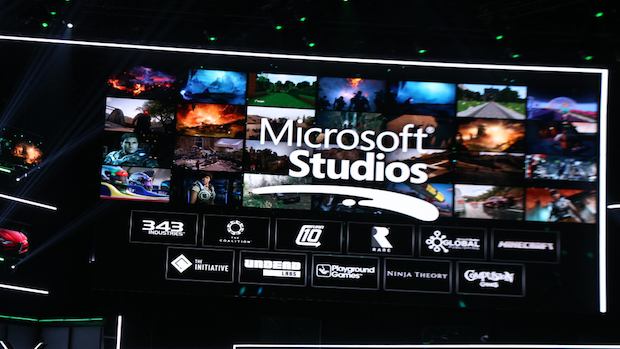 One of the major announcements out of Microsoft’s E3 2018 press conference was the addition of five new studios to their internal roster, no doubt in a move to help alleviate the common concern that their Xbox Platform has lacked a focus on first party titles when compared to the competition, and the few they did have felt like they were being factory farmed in more and more rote ways. Windows Central caught up with Xbox Corporate VP Mike Ybarra at the show to chat more about, among other things, what fate awaits these studios. Thankfully, according to Ybarra the entire point of these formations and acquisitions was to have their creative ideas come into the Microsoft ecosystem, instead of trying to bend them into what they want. The Xbox team wants to globalize and diversify their approach to games, and sees studios like Ninja Theory, Compulsion Games, Undead Labs, Playground Games and their newly formed Santa Monica studio, The Initiative, as helping bring that to their platforms. “Creative freedom was one of the most important pillars in the conversations we had with these developers. We’re not dictating what they do and when they do it. We want creative ideas from them. We picked those studios because they’ve shown they can create those ideas and those experiences that customers want,” he stated. While many gamers have been excited to see Microsoft’s apparent commitment to improving their first party production, Ybarra says they only didn’t do it earlier because Phil Spencer wanted to focus on perceived hardware and services problems. I have to imagine that the huge steps they’ve made on those fronts with Xbox One X and Games Pass have allowed them to move onto these other problems.